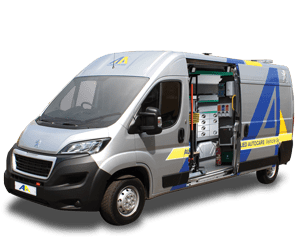 For Terry Dean from Rossendale in Lancashire, finding a vehicle that could cater for his daughter’s wheelchair and be big enough to accommodate the rest of his family was made easy thanks to Allied Mobility. Terry and his family all like to go out for trips together but with the new Vista™ it means that they now don’t need to take a second vehicle. Terry is also enjoying the ease at which he can now get Francesca into and out of the vehicle as their Vista™ came equipped with a winch and four point wheelchair restraint system. He comments: “It might sound ridiculous but, from a carers point of view, it’s so much easier to use. When Terry starting looking for a new wheelchair accessible vehicle he couldn’t believe how affordable the Allied Mobility Vista™ is, given its capacity and features. 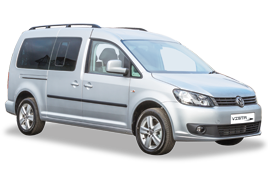 Volkswagen Vista™ wheelchair accessible vehicles are available exclusively from Allied Mobility. 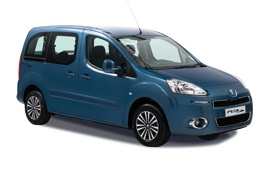 Vista™ is available to buy, rent or via the Motability Scheme, with Advance Payments starting from £2,495. 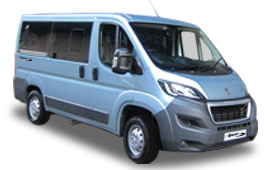 This impressive MPV offers the ideal solution for small groups or large families looking for a stylish wheelchair accessible vehicle.